Some people never turn off mobile phones, while mobile phones should also be comfortable. To increase the battery life of the phone, the phone should be closed from time to time. Experts believe. That at least once a week, your mobile phone must definitely switch off. some people refrain from charging the whole night on a phone charge, because it feeds them to damage the phone's battery. The truth is that smart smartphones are smarter than that. 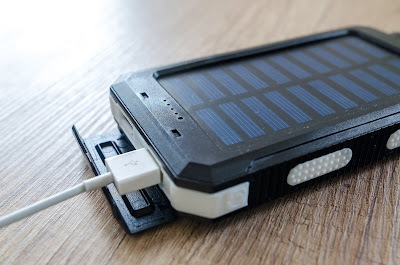 When the battery of the smartphone is full, it automatically closes charging. Many people believe that do not charge it until the phone is fully switched off. In such a situation, many people do not charge phone if kept in front and say that the battery still has 30 percent of the rest. The truth is that charging the phone daily is better than deep-charging from time to time. If the phone's battery is completely over, it becomes unstable. Some people think that the battery is damaged by the use of other brands' chargers. The truth is that other brands' chargers work properly, but fake chargers can spoil the battery condition. Stay away from fake chargers. heat has a bad effect on the battery. Lithium-ion batteries are heated and they become even warmer when charging. Cold battery is also worse quickly. Do not remove the battery from the phone repeatedly. .
can cause excessive gadget damage. You should not hang your handset through the power outlet via the wire. Doing so may damage your phone's power connector. After the mobile phone is fully charged, you should remove it from the power outlet. If your phone gets discharged quickly, firstly check that the battery is not damaged. Separate the battery from the phone and rotate on the flat ground. If the battery rotates easily, then understand that the battery has blossomed somewhere that is the time to change the battery.